Thanks to the boiling hot summer from hell, I've taken to eating more salads. It just seems more enjoyable to eat something cool, crisp and light then something heavy and hot. I've also always had trouble getting all of my daily veggies in, so eating a big salad kind of resolves that. 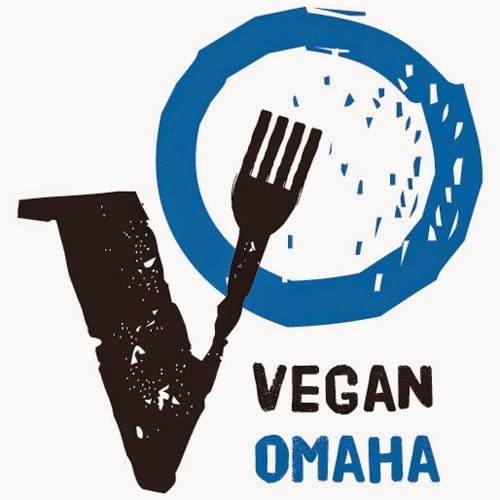 Being the lazy Vegan that I am, I devised the easiest and most satisfying salad possible, while staying within the pre-packaged rules of my blog. Yes, I know it would be cheaper to buy veggies from the farmer's market, but that's not the point. This is for people who never eat salad because they are lazy but are also salad-curious. Don't worry salad-phobic people, it's all about baby steps. Just do what you can to eat a couple more veggies everyday. Well, first you need to start with a mix of greens. Do yourself a favor and stay away from iceberg lettuce and get some spinach or kale. 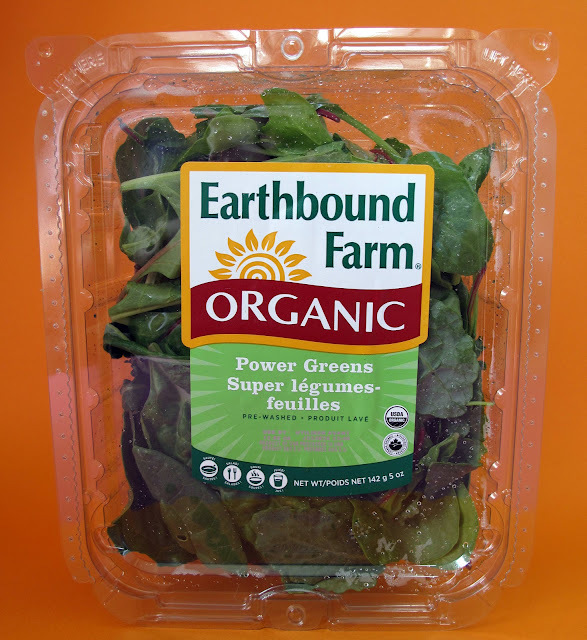 This Earthbound Farm Organic Power Greens mix is pretty nice because it has baby kale, baby spinach and baby green and red chard. At my Whole Foods, there is always tons of pre-packaged organic vegetables. 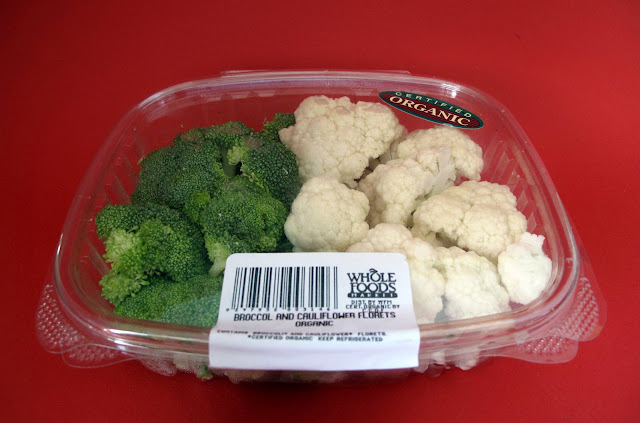 I chose the broccoli and cauliflower mix, but you can get whatever veggies you heart desires. 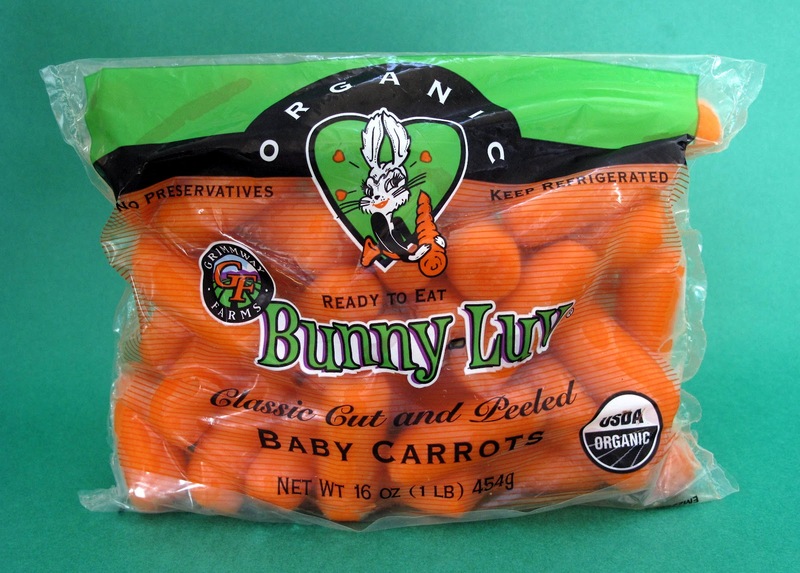 These pre-washed Bunny-Luv carrots are pretty amazing. I HATE peeling carrots so these are heaven to me. Someone told me that baby carrots have less beta carotene than normal sized carrots. Well, if that's true, a little beta carotene is better than none because I'm not peeling carrots! I love sprouts! 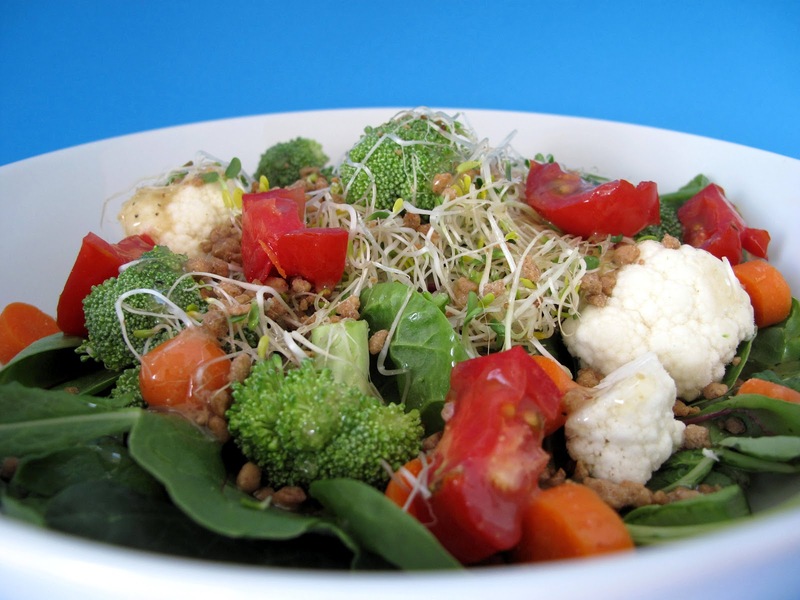 They add crunch, texture and healthy flavor to salads. 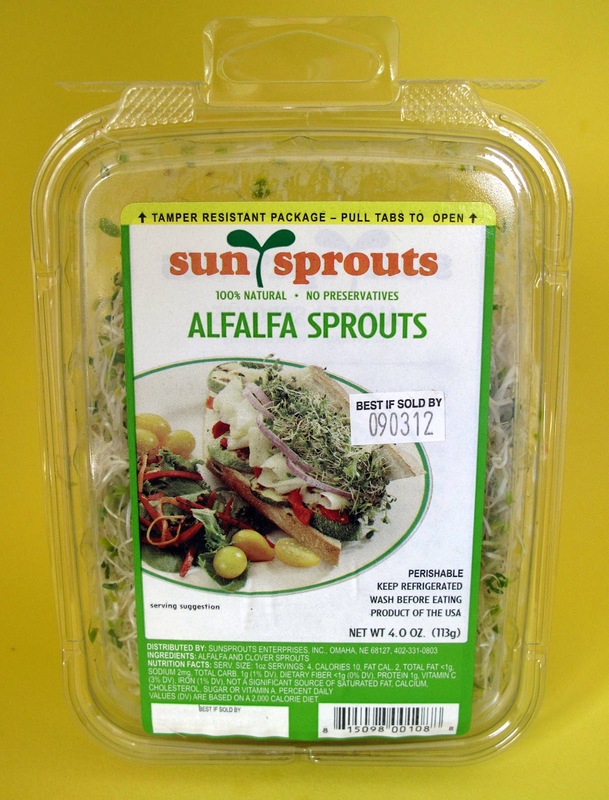 I almost got some bean sprouts, but opted for these Sun Sprout alfalfa sprouts instead. And make sure you throw the leftover alfalfa on a sandwich. The one thing I don't like about salads is that they can be so boring! You're eating a damn salad, so make sure you put something fun on it. I don't know, get those Snapea Crisps or some raisins. 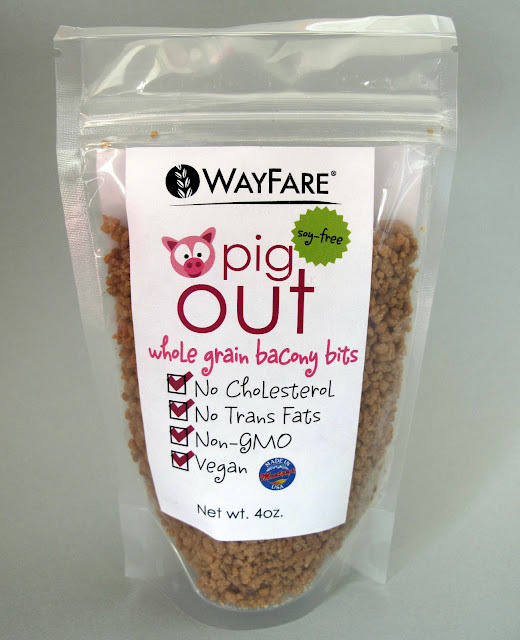 On this salad, I threw some Pig Out Bacony Bits from Wayfare. They add a little texture and are super tasty. 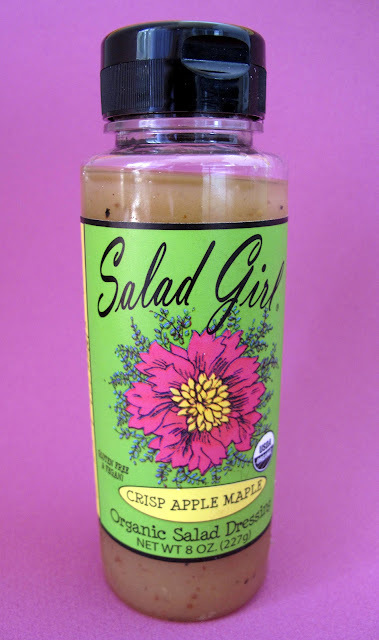 This Salad Girl Crisp Apple Maple Dressing really hit the spot. It was sweet, but not overpowering. Follow Your Heart also has a ton of amazing dressings you should check out. I also kick it old school once in a while and use Braggs Liquid Aminos Seasoning. So here is my Laziest Vegan Salad! Pretty, isn't it? As you can see, I've added a some tomatoes from my garden. If you've never grown a tomato, try it, it's pretty easy! You won't believe how much better they taste than the store bought ones. If I can grow a tomato, anyone can. In closing, if you are a Lazy Vegan, it doesn't mean you can't eat a couple veggies a day and a salad is the easiest way to do it! oh wow that does sound amazing! i love a good salad! and those babay carrots are such a time saver! I'm so glad to see that you lazy vegans out there are still eating some nice, raw veggies. 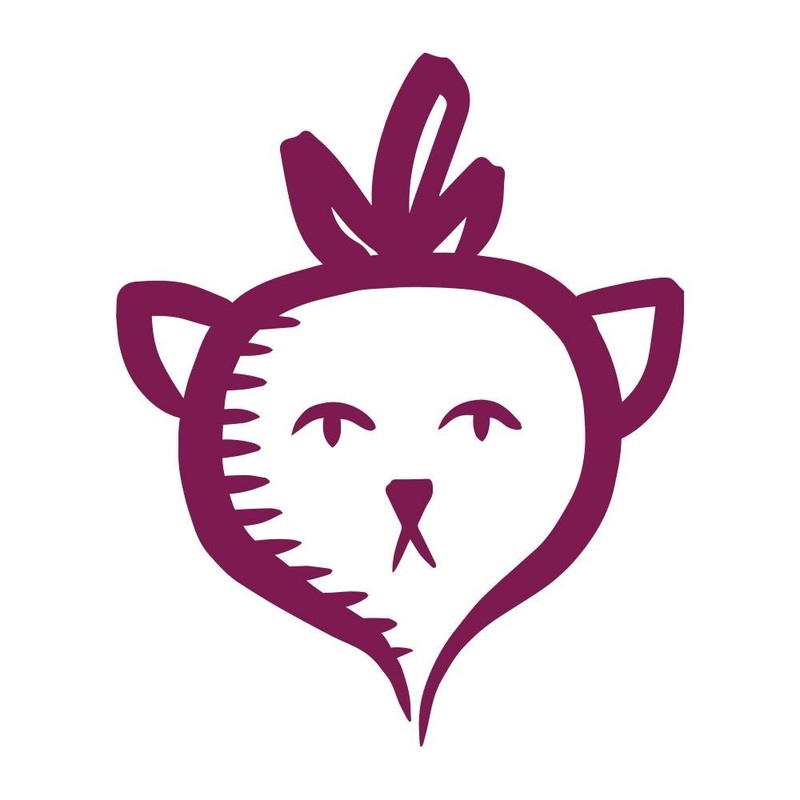 Have you seen the Earthbound Farm Power Meal kits yet? Super lazy. Greens, toppings (beans, grains, nuts, and/or fruit), and dressing. Also, super pricey. And I believe all the kits are vegan. Oooh, didn't know that. I'll have to check 'em out! John, can you let me know when they finish with the whatever they are doing to Regency over by Whole Foods. It is too much work getting to and from Whole Foods for my lazy self. Last Friday it took almost an hour to get from Whole Foods down to Pacific. I was going to go to Trader Joe's. Yeah, it was pretty bad there for a couple days! Should be done by now. Yep, I checked it yesterday (by looking to my right when driving home from work) and it seemed to be all good.